The United States Department of Veterans Affairs (VA) created a mortgage loan that provides financial assistance to veterans. This mortgage is guaranteed by the VA, which has helped over 25 million veterans and service personnel obtain a mortgage. The VA was designed to help provide housing and assistance for veterans and their families by issuing easier financial qualifications. For example, if eligible, applicants are not required to make a down payment, and will not get penalized with private mortgage insurance (PMI). According to the VA guidelines, applicants who are eligible are specified as “Veterans who served on active duty and have a discharge other than dishonorable after a minimum of 90 days of service during wartime or a minimum of 181 continuous days during peacetime.” If a surviving spouse of a veteran wants to apply for a VA loan, there are specific rules and restrictions regarding their eligibility, but it is possible to qualify. Applicants who decide to finance a VA loan can receive a maximum of 25 percent of a home loan amount up to $113,275. Eligible veterans are allowed to borrow the lesser amount between the value or the property and the purchase price. Keep in mind, being a veteran does not automatically mean you are eligible for a VA loan, there are still other qualifications that need to be met. For example, veterans will need to meet service requirements, credit score and income requirement to be considered eligible. Since lenders will review your credit report, which also includes your payment history and debts, they will be able to calculate your debt-to-income ratio (DTI). DTI ratios give lenders a more realistic idea of a potential borrower’s monthly income and their recurring debts. Typically, lenders like to see a borrower’s DTI ratio of 41 percent or lower. However, many lenders have different standards in order to become eligible for a VA loan, and they will be able to determine your eligibility in correlation with your financial status and history. Requires no down payment (unless your lender deems otherwise, or the purchase price of the home exceeds the allowed VA limit). Lenders offer competitive interest rates. Allow borrowers to pay off all or part of your loan in advance without penalty. VA orders an appraisal on your behalf to determine the home’s value is reasonable and matches with current market conditions. If defects are found, the VA will try to assist you in hiring a contractor to resolve those issues. However, the VA does not guarantee the condition of the home you are purchasing, it guarantees the loan. This is often misinterpreted, so do not get the impression the VA will handle any damages or defects that need to be repaired. This responsibility will need to be taken care by the potential homeowner. If you have suspicion or concern about the condition of your home, it is advised to seek professional help from a home inspector or real estate agent. These certified experts will be able to evaluate the home’s overall condition and suggest which things should be repaired to avoid any future problems. What are the requirements to obtain a VA loan? How do I qualify? Applicants must be considered as an eligible veteran who can prove their service. Loan must be for an eligible purpose. Veteran and family must occupy the home as their primary residency. Credit risk of applicant must be satisfactory. Verification of veteran and spouse’s income must be stable and sufficient to handle mortgage payments and pay for other home related costs. Lenders also evaluate applicant’s credit risk and their debt-to-income (DTI) ratio. Usually, lenders like to see a credit score of 620 or higher. However, qualifying credit scores can vary from lender to lender. So, research each lender’s qualifications to see where you can get approved. Lenders will calculate your DTI ratio by reviewing your gross monthly income and monthly debts. Most lenders want to see a DTI ratio of 41 percent or lower, so they can be assured your income is greater than the amount you already owe. This ratio could also vary from lender to lender, so remember to do your due diligence and ask what each lender expects from applicants. Just like any other mortgage, the VA also requires applicants to prove they have a consistent and stable income. 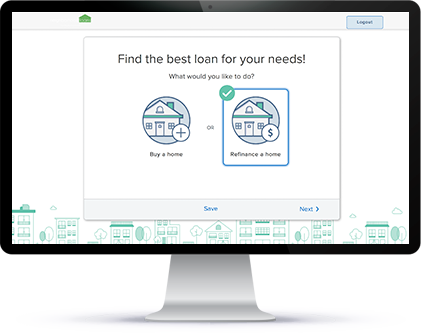 This verification is used to measure a borrower’s ability to handle mortgage payments and other basic necessities (i.e. food, transportation, etc.) The residual income amount will vary based on family size and location of their home. You can ask your lender what amount of income is acceptable in order to obtain a VA loan. An appraisal is also required during a VA transaction. A VA appraisal will be ordered to provide a more accurate estimate of the home’s value compared to other homes in the area. This process is intended to ensure the home is in good condition and veterans will be comfortable and safe. A licensed appraiser will come to the property to evaluate its overall condition and write a detailed report of their findings. From this unbiased perspective, veterans can safely agree with their opinions and make adjustments as needed. Lastly, there are service requirements that need to be met to become eligible for a VA loan. Majority of members in the military, veterans, reservists and National Guard members are eligible to apply for a VA loan. Even spouses of the military or other services who died while on active duty can also apply. Active-duty members are able to apply after six months of service. While reservists and National Guard members must wait six years to apply. However, if they are called to begin service earlier, they are eligible to apply after 181 days of active duty. Potential service members must also obtain a certificate of eligibility, which is a document that states the veteran or military member has met the VA’s qualifications. This form can be submitted online, or your lender can get this document during the preapproval process. What credit score do I need to qualify for a VA loan? Lenders typically look for a credit score of 620 or higher to approve someone for a VA loan. However, do not get discouraged if your credit score is lower. Some lenders may be more flexible and approve you with a lower credit score. Remember to keep in mind, a lower credit score does not necessarily mean rejection, and a higher one does not guarantee anything. There are other factors to be considered in order to be approved for a VA loan aside from your credit score. What are the benefits of getting a VA loan? For most applicants, no down payment is required. Compared to an FHA loan, lenders require a down payment as little as 3.5%. However, borrowers are required to purchase mortgage insurance. With a VA loan, borrowers do not have to pay for this premium. As mentioned above, borrowers are not required to pay for monthly mortgage insurance with a VA loan. This premium is usually required by lenders if borrowers put less than 20 percent down with a conventional loan. Lenders can offer competitive interest rates compared to other loans. VA loans continue to have the lowest interest rates among other loan options. No prepayment penalties. Borrowers will not get penalized if they decide to pay part or fully pay off the loan early. VA loans are classified as an assumable mortgage (some lenders are subject to approve). This means if you were to move, you can someone else takeover your mortgage payments. This can be a huge benefit if interest rates were to rise. The VA loan program avoids placing veterans in foreclosed homes. They will find alternate options for housing and use a foreclosed home as a last resort. There is a limitation on buyer’s closing costs. With a VA loan, sellers can pay all of the buyer’s closing costs and up to 4 percent in concessions.